Just like in single pregnancies, you’ll want to begin breastfeeding your twin or triplet babies as soon as possible after birth and encourage them to nurse every 2-3 hours so that they’re eating at least 8 times a day. You absolutely can nurse more than 1 baby at a time if they’re born mature enough to breathe and eat on their own. Being educated about breastfeeding multiples is the most important thing that you can do to get ready to breastfeed your babies. 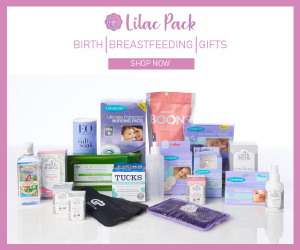 La Leche League suggests that you ask your prenatal care provider whether the facility where you will give birth is supportive of starting breastfeeding within the first hour postbirth, or if your babies need medical attention, whether the facility will support you pumping your milk and practicing skin-to- skin care. The more supportive your care provider and chosen birthing facility are about breastfeeding, the greater your chances of success. If your babies need NICU care, you can start pumping and storing your breastmilk so it will be available for them when they do start feeding. Nature has designed your milk to the needs of your baby so if you have a premature baby, the composition of your breastmilk meets your preemies’ digestive systems and growth needs. As their health permits, keep your multiple babies in your room with you as much as possible. With your babies nearby or skin-to-skin, you’ll pick up on their feeding and hunger cues earlier and respond more easily to their needs. Make your lactation consultant your new best friend—she has a lot of knowledge and breastfeeding experience to share with you! Getting support at a nursing group for moms of multiples will connect you with new friends and you can work through any breastfeeding challenges together. Find support at La Leche League International (LLLI.org). Surround yourself with friends and family who support your nursing. Believe in your choice and your ability to breastfeed your babies! 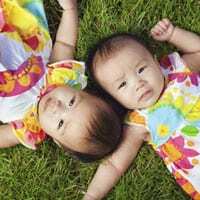 Try these research and mom-proven tips to successfully nurse and feed twins breastmilk for at least the first 6 months of their lives. Experiment with holds: Try the football hold, with babies resting at your sides on pillows, or the cross hold, with each baby’s head toward a different elbow and their legs forming an “X” as they overlap. Switch babies; switch sides: Alternate your babies between your breasts in case you have a stronger feeder so that both breasts continue to produce similar amounts of milk. Tag-team breastfeed triplets: Nurse triplets by alternating the babies you start with each feeding. For example, feed the first 2 babies for 10 minutes and the 3rd for 5 minutes. Next time, start with the 3rd baby for the first 10 minutes and the others for 5. Could Your Baby Have High Cholesterol?